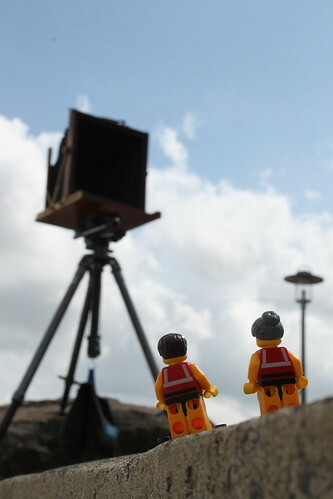 A short while ago, the little guys were incredibly privileged – and, if we’re being honest, more than a little excited – to meet a fellow photography enthusiast. But not just any old photography enthusiast. Oh, no. This was Jack Lowe. And he is on a very special mission indeed. Because Jack is in the process of visiting all of the 238 lifeboat stations around the British and Irish coast. And he is documenting his journey by using Victorian photography processes to capture the view from each station, as well as images of the stations’ lifeboats and crews. Here’s the man himself. You can find out more about the project on his website. 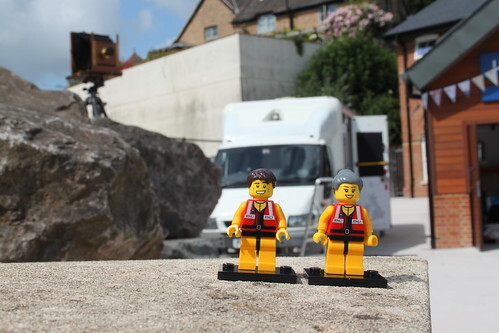 Jack visited the Crew’s home station at Portishead as part of his tour of the Somerset stations. Having been initially a little bemused by the whole idea, the crew at the station quickly got into the swing of things and soon became fascinated by the complicated photographic process. We heard one of the shore crew giving a detailed run-down of the way in which a photo was taken, having heard about it for himself from Jack only minutes before. The little guys were equally impressed. Here they are checking out Jack’s camera. The process that Jack uses to capture his images is known as wet plate collodion, which was all the rage in the late 1800’s. Because the photographic material has to be coated, sensitized, exposed and developed within the span of about fifteen minutes, Jack needs to travel with a portable darkroom. In this case, it’s his trusty ex-ambulance, which you can see in the photo below. The little guys did consider trying to ‘photo bomb’ one of Jack’s shots, but it seemed a little unfair given the amount of time and effort he was putting into getting the images just right. So they contented themselves with hanging around in front of the camera while Jack prepared the equipment for his next exposure. They couldn’t resist, though, having a go at producing their own Victorian-style photo on the computer when they got home. It’s not a patch on Jack’s efforts, of course, but they were pretty happy with their efforts. 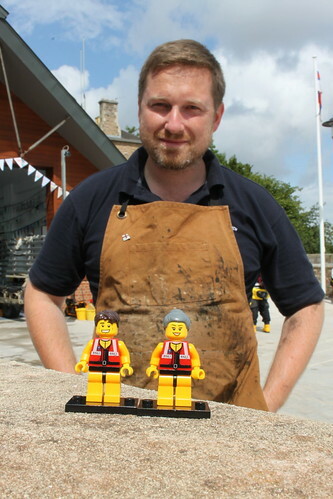 Oh, and keep an eye out for the man himself at an RNLI lifeboat station near you! 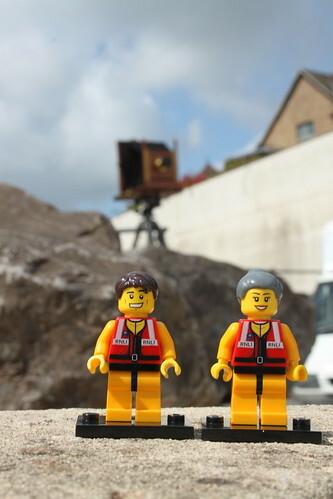 This entry was posted in Out and about and tagged Jack Lowe, Lifeboats, RNLI, The Lifeboat Crew by Simon Perks. Bookmark the permalink.